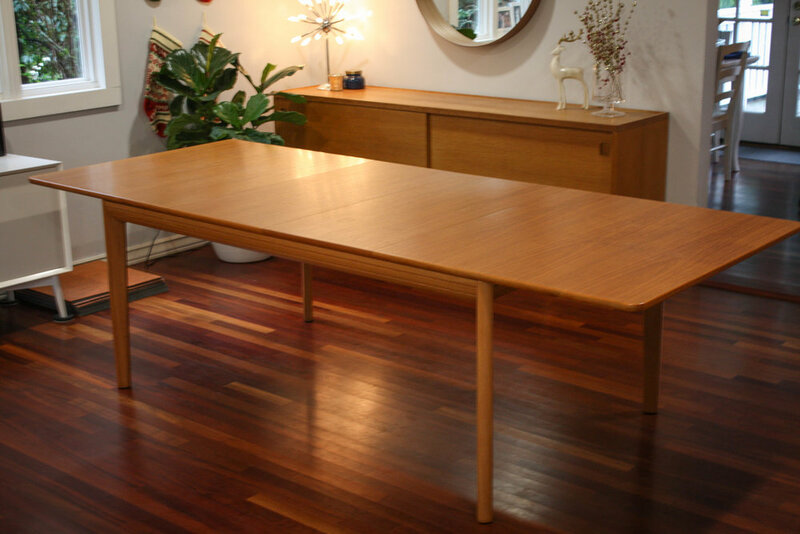 Wonderful Vejle Stole teak dining table. This table works perfect for a variety of needs. At it's smallest, it measures 67" long. Opening the table is a breeze with the super sweet metal and gear sliders. 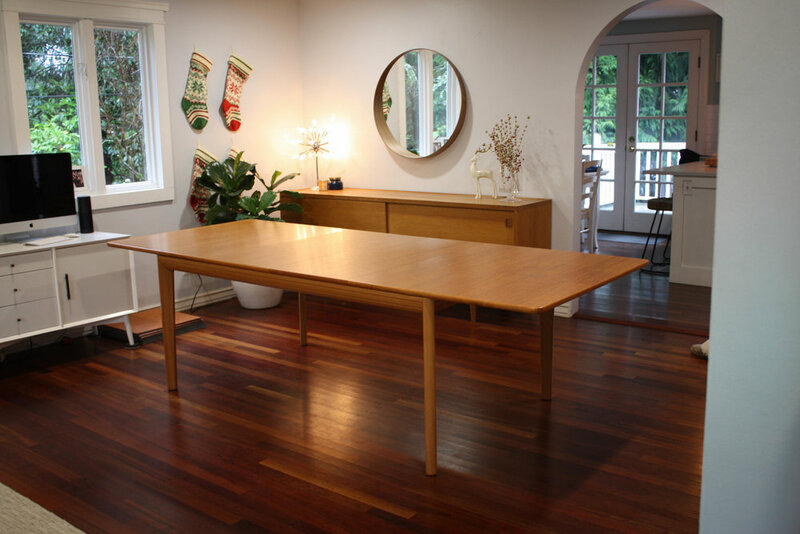 No obnoxious wood on wood sliding like most other expandable dining tables. Pop in the two leaves and you'll be ready to party with a 104" long table, seating for 12, maybe even 14 depending on your chairs. 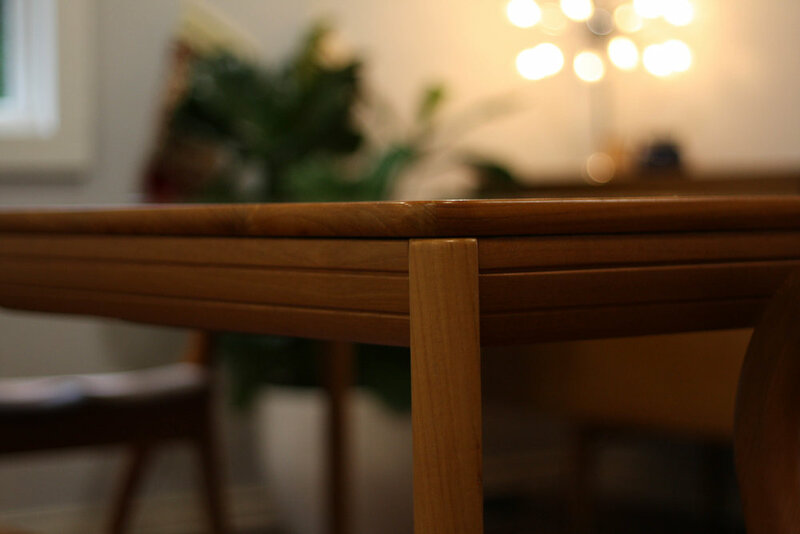 Simple lines make this table a show stopper. Stamped Vejle Stole Made in Denmark on the bottom so you can rest assured knowing this is a true Danish piece of mid century furniture. 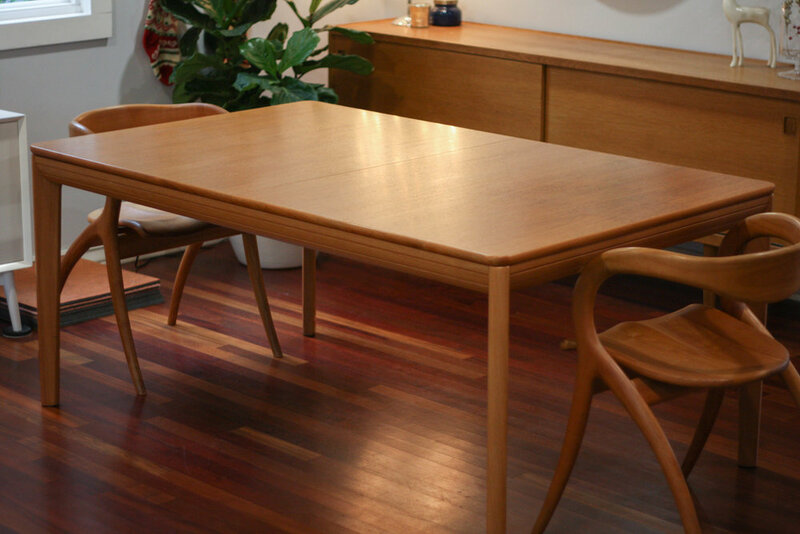 The table is in great vintage condition with only minimal surface ware, light scratches and imperfections to the finish. No glaring dents, chips, or deep scratches. The table could be refinished if you felt so inclined, but in our opinion the minor imperfections do not warrant it.